The parishes of Heather, Snarestone and Swepstone (including the township of Newton Burgoland) are around 15-20 miles north-west of Leicester. By the early 20th century, the brick and terracotta works had become a major employer, and both Heather and Snarestone had railway stations on the London, Midland and Scottish line. None of these villages had a population of more than 650 until after 1950. 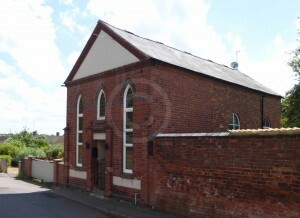 A chapel was built in Heather by the Wesleyan Methodists in 1828, at a cost of £250, and the following year it was said that around 50 Methodists attended their services. No return was made for this congregation in 1851. In 1851 a group of Primitive Methodists was meeting in a room that was not exclusively set aside for worship, but which had room for 45 people. On census Sunday that year, 40 people attended the afternoon service there, and 45 in the evening. They built their first chapel in 1855. It stands to the north of the village and cost £120; a porch was added in 1895. It was enlarged in 1903. Just eight Methodists were recorded attending services in Snarestone in 1829. By 1851, the congregation described itself as Wesleyan Methodist, but had no chapel. They met for worship in a house, where there were said to be 20 free seats plus standing room for 70. The only service held on Sunday 30 March 1851 was in the evening, when 40 people attended. A chapel was later built on Main Street, and is shown on the 1883 Ordnance Survey map. The 1829 return is for the parish of Swepstone, including the township of Newton Burgoland. Three nonconformist congregations were noted, Baptists, Independents and Primitive Methodists. The latter two denominations presumably met in Newton Burgoland, where chapels had already been built. The location of the Baptist Meeting House, which around 40 people attended in 1829, is not known. The Hephibah Independent Chapel was built in 1807, in the midst of a terrace of cottages. It had 150 sittings, of which 120 were free. In 1829, 100 people attended services there, presumably drawn from the surrounding area as well as from this village. Two Sunday school rooms were added to the west of the chapel in 1840, which could be opened up for public worship, to accommodate a further 100 people. However, the congregation may already have been declining, although there do not appear to have been any new Independent chapels established in the locality. For on Sunday 30 March 1851 there were just 29 people present at morning worship and 48 at the evening service, together with 41 at the morning Sunday School. A chapel with 100 free sittings was built for Primitive Methodist worship in about 1825, and 50 people were reported as worshipping here in 1829. On Sunday 30 March 1851, 52 people attended the afternoon service and 70 were present in the evening.The chapel was extended in 1855. No Wesleyan Methodist congregation is recorded here in 1829 or 1851. A Wesleyan Methodist chapel was built in 1856. A Wesleyan day and Sunday school was built in 1875. RCHM, Nonconformist Chapels and Meeting-houses in Central England (London, 1986).